When it comes to wedding day prep, even minimalists and low maintenance brides usually want a bit of pampering and complexion clearing assistance. While facials might be seen as a luxury, the right treatment can help keep your skin healthy and radiant. Even if you’re a newbie to the spa, you just need to do a little homework. Just like you’d head into a salon with a Pinterest worthy inspiration hair shot, a little prep can help you get the #skingoals you desire. Getting the right facial is a two fold process: finding the right pro and then identifying the best treatment for you. Like finding your soulmate, asking a few questions and finding someone you’re comfortable with will help you find the right match. Whether you’re trying to find a pro, pick a treatment or both, we have rounded up the best tips for you to walk away with stellar skin. Ask friends – Have a friend who has enviously radiant complexion? Ask her who she entrusts her skin to. But keep in mind, “it’s very important to ask friends who have a skin type similar to yours, especially if you have specific skin conditions like rosacea, sensitivity, discoloration or acne,” says Austin based esthetician Renee Rouleau who works with Demi Lovato and Bella Thorne. She also suggests crowdsourcing to find a pro ” If you’re active on Facebook and Twitter, posting a question on there is sure to get you a quick response” says she. Search online– Look to sites like Yelp and SpaFinder to get the inside scoop on a spa. If you see many troubling reviews, it might be time to move on. If there are mainly positive ones but a few mixed, ask the manager of the spa what might have gone wrong and how your experience can be different. “Be cautious of reviews because even if someone tells of a great experience, it’s hard to know if their skin concerns are similar to yours, “ says Rouleau. Also, be wary of flash specials and discounted packages, this might not be the time to try the first facialist you find just because the price is a steal. Read magazines- Some magazines and sites will have a city-by-city guide for the best skincare professionals, says Rouleau. Live in a small town? Look for a local or regional edition over national magazines which may only feature cities and big towns. Check out the services – It’s important to find a place that offers a wide range of skin care services to give your skin everything it needs. For example, a medical spa that only offers chemical peels and laser treatments may not be the best option for those who want to take a gentler approach. If you’re getting a service close to your wedding date, keep it simple. Acids and harsh peels can be too aggressive and cause skin to react, says Peach & Lily founder, Alicia Yoon, who is an esthetician and a spa regular. Rather, look for treatments that focus on hydration which give skin a naturally healthy glow without chance of irritation. Treatments that contain crazy ingredients like snake venom or bird poop (yes, that’s a real thing) may also just be a gimmick. Also, while seasonal facials might sound fun (hello, sparkling lemon facial), be wary that even fruits can have acids that might be harsh. Schedule a Consultation- Once you’ve pinpointed a pro that you’d like to see, schedule an appointment for a consultation. “You’re at the mercy of their judgement when you are in their hands so really, the consultation beforehand is key,” says Rouleau. Always look for someone who is a good communicator and can precisely lay out what the plan (and end result) will be for your skin, she advises. “Ask lots of questions, particularly the cost of treatments, side-effects and the results they can guarantee,” says she. “What may be fabulous for your friend may not be right for you,” says Rouleau. If you’re headed to a large spa, it might be hard to pinpoint who to see. Check reviews and see if there are any estheticians who consistently get rave reviews. Rouleau advises becoming friendly with the receptionist to get the inside scoop. When calling to inquire about an appointment, tell the receptionist about your skin and ask who he or she recommends you schedule your appointment with, she says. Rouleau advises uses the following script to ensure getting into the best hands: “My skin is highly sensitive so I need someone who has a lot of experience. Who is your best and most experienced esthetician? I don’t mind waiting to get an appointment if he or she is booked up for a while, I simply want to make sure I’m going to the best person.” Once you’re in to see your facialist, this is the time to overshare. While you don’t need to rant about your latest Tinder date, you do need to tell them your current regimen, skincare concerns, and medications you might be taking so they can tailor a treatment accordingly. 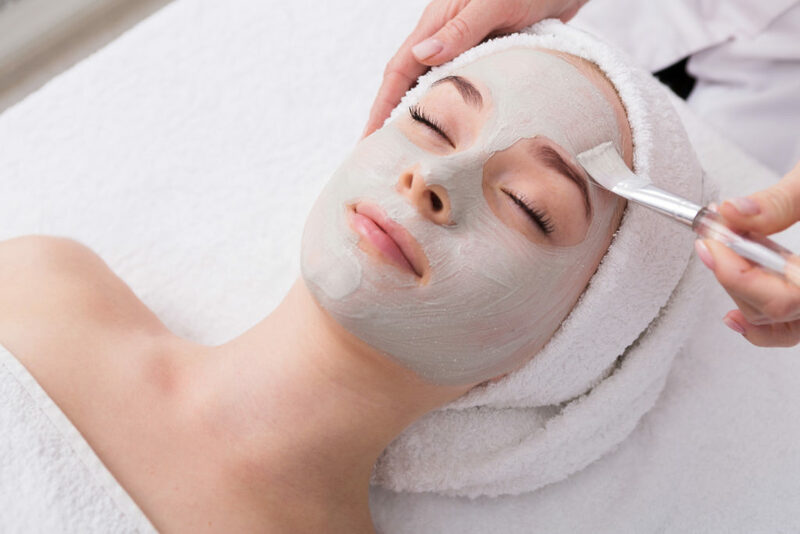 During the Facial- Now that you found your pro and picked the treatment, we hope you’ll be laying back and getting pampered in capable hands.While it is true that facials may involve a bit of discomfort (extractions might make you wince), you should speak up if you’re feeling any actual pain. Any tingling or burning should be addressed quickly so your skin isn’t left with a breakout or reaction. After your treatment, your skin might be more sensitive than usual, wear a large brimmed hat to wear afterwards. We like to schedule our appointment for the end of the day so wearing sunblock or applying makeup isn’t as necessary. Lastly, try to avoid wearing makeup post-facial so pores can continue to soak in the complexion boosting ingredients from your facial. Plus, it’s a chance to rock you’re au naturel glow.